Oil Seeds are varieties of oil-rich seeds, nuts, fruits, and cereals that are used in vegetable oils and fats for cooking, food manufacture, soap making, specialized lubricating oils, and cosmetics. 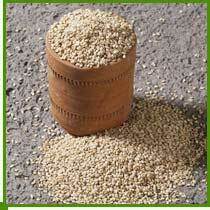 Natural Sesame Seed are flat and tiny seeds which have a nutty sweet flavor and are usually white or beige in color. It is an important nutritional additive to salads and dressings. It is extensively used to embellish products such as Sesame Seeds on bread, bread sticks, cookies and candies, and as garnish on pasta and vegetables. It is also widely used in curry dishes and tahini. The qualities of Natural Sesame Seed are generally differentiated on the basis of the % of impurities and the % of discolor seeds. 99/ 1/1-99 % White Colored Seeds,1 % different than white seeds & Max 1 % Impurities. 98/2/1-98 % White Colored Seeds, 2% different than white seeds & Max 1 % Impurities. In addition to that we can also offer Sortexed Natural Seed with 99.95% purity if required by the client. 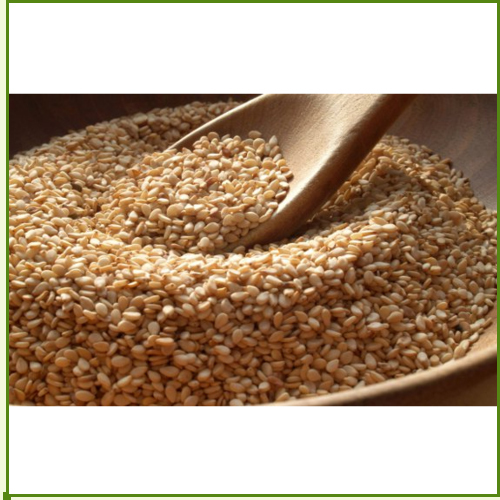 Sesame seeds are an agricultural produce and cultivated in various parts of India especially in Gujarat. Sesame seeds have a thin shell or husk which is mechanically removed to produce hulled sesame seeds. The hulling process requires substantial quality of water as raw sesame seeds are soaked in water to facilitate hulling and minimize breakages and later the hulled sesame seed are washed in water to remove the husk and the dirt particles. After mechanically hulling the soaked natural seeds they are to be properly dried .These hulled sesame seeds are uniformly bold in size, bright whiter in color and used in bakery and confectionery products. The hulled Sesame Seeds are white in color much softer and better digestible that retains all the flavouristic characteristic of the natural seeds. 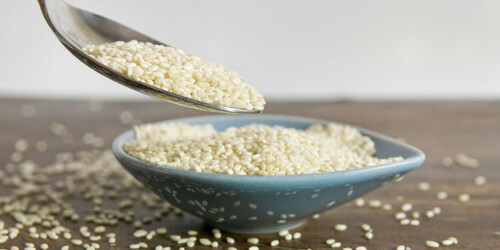 Hulled Sesame Seeds enrich bakery confectionary products and are also the basis of the creamy sweet wholesome Tahini. On the basis of the method used for drying the Hulled Sesame Seeds there are two qualities of Hulled Sesame Seeds which are produced . For making Sun Dried Hulled Seeds after the hulling process is complete the hulled sesame seeds are dried on big platforms for drying in Sun. Since there is no human and mechanical control in this drying the drying is not uniform and as result the auto dried hulled sesame seeds are milky white in color. For making Auto Dried Hulled Seeds after the hulling process is complete the hulled sesame seeds are passed through an auto direr where in the seeds are dried mechanically. Since the drying takes place mechanically at a controlled temperature there is a uniform heating of the seeds and as result the auto dried hulled sesame seeds are bright white in color. After the drying process is complete the seeds are passed through machines for cleaning as per requirement of the buyer. We can supply Hulled Sesame Seeds Machine Cleaned with 99% purity as well as Hulled Sesame Seeds Sortexed with 99.95 % Purity. 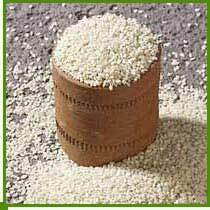 White Sesame Seeds are flat and tiny seeds which have a nutty sweet flavor and are usually white or beige in color. It is an important nutritional additive to salads and dressings. It is extensively used to embellish products such as Sesame Seeds on bread, bread sticks, cookies and candies, and as garnish on pasta and vegetables. It is also widely used in curry dishes and tahini. The qualities of Natural Sesame Seed are generally differentiated on the basis of the % of impurities and the % of discolor seeds. 99/ 1/1-99 % White Colored Seeds, 1 % different than white seeds Max 1 % Impurities. 98/2/1-98 % White Colored Seeds, 2% different than white seeds Max 1 % Impurities.